When do you rely on an index? Illusion or Reality? 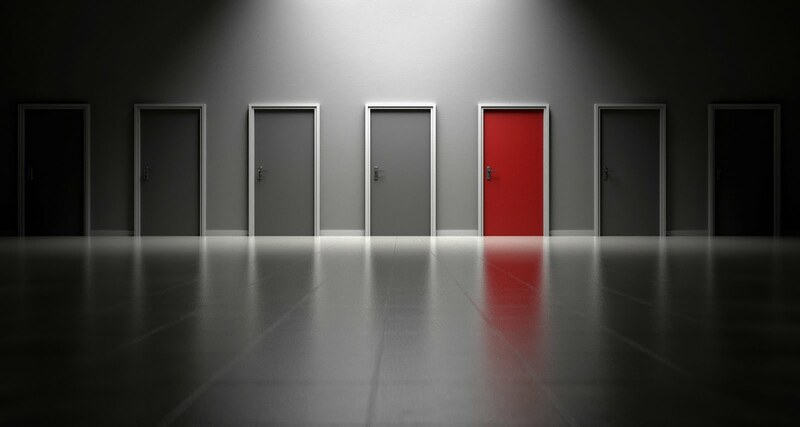 Accumulations of information eventually reach the saturation point and finding any one item becomes nearly impossible. 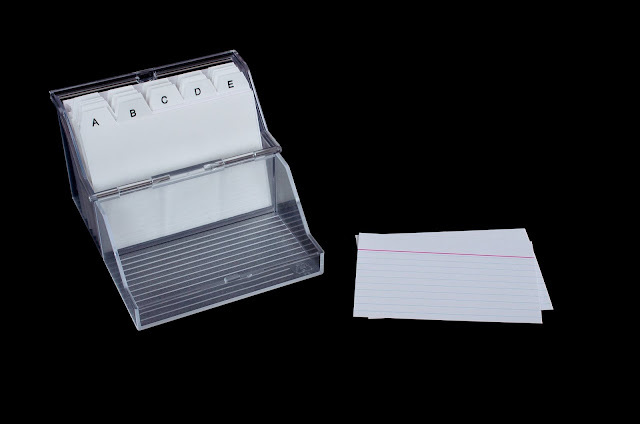 Linear searches, before computers, were extremely time-consuming. Let's think about this in terms of genealogical research. Inevitably, as we do more in depth research into historical records, we depend more and more on the organization and classification of those records. Historically, organizing voluminous records required maintain manually created indexes or lists of the records in some order. The utility of these organizational methods depends on the depth of classification imposed on the information. For example, if we are searching for a specific name, the utility of the index, for us, depends on whether or not the index included the individual being searched. For example, let's suppose we are research county court records. The particular organization used by the county may be chronological or by case number or by the names of the parties. The county may or may not have created an index of the records listing the names of the parties. Even if an index exists, we may be searching for someone who was not a "party" to the litigation and therefore not included in the index. However, there may still be extensive information about our target individual in the file. If we are forced to do a manual search, the only method that will discover the information we are seeking is to do a word by word search through the entire corpus of information. When I am searching unindexed deeds, for another example, I have to read each of the deeds and look for the names of the individuals who may have signed the deeds as parties or witnesses. The parties (grantor/grantee) may be indexed but the witnesses are not. In this case, a grantor/grantee index does little to help me with my search. I may have to search hundreds or even thousands of deeds to find one name on one deed. As computers became more and more common, we entered an age where we depend more heavily on indexes. As long as the information stored by the computers is in "text" format, computer programs can search massive amounts of data in seconds and look at every word. This ability gives researchers an illusion of complete searches with or without indexes. However, we need to remember that much of what we are searching as genealogists is locked up in its original format, i.e. handwritten records. Until we develop a reliable and extensive ability of handwriting recognition, we are still heavily dependent on manual indexes. The good news is that there are a lot of manual indexes. The bad news is that the indexers still select only certain "fields" to include in their indexes. For example, the deeds I wrote about above. I have yet to see a manual index of the names on deeds that included all of the people named in the deeds. If we want to find the information we need, we still have to do our own manual search. Of course, it may be easier to search digital images than either original records or microfilmed copies, but the existences of an index often gives the impression that we are searching the records when what we are really doing is searching the index. This illusion is pervasive. In many instances, the large online database programs provide only an index of records and do not provide access to the original record images. We are essentially locked out of finding the information we need under the guise of doing an adequate search because we rely on the information selected for inclusion in the index. In every case where we rely solely on an index for our information, we must make every effort possible to examine the original record set in detail before concluding that the information is not available in those records. Microfilm is described as follows in the Wikipedia article, "Microform." 16 mm or 35 mm film to motion picture standard is used, usually unperforated. Roll microfilm is stored on open reels or put into cassettes. The standard lengths for using roll film is 30.48 m (100 ft) for 35mm rolls, and 100 ft, 130 ft and 215 feet for 16mm rolls. One roll of 35 mm film may carry 600 images of large engineering drawings or 800 images of broadsheet newspaper pages. 16 mm film may carry 2,400 images of letter sized images as a single stream of micro images along the film set so that lines of text are parallel to the sides of the film or 10,000 small documents, perhaps cheques or betting slips, with both sides of the originals set side by side on the film. I have been writing about microfilm recently because of the FamilySearch.org announcement that rental, duplication, and shipment of microfilm will cease as of September 1, 2017. See "Official FamilySearch Press Release re Discontinuing Microfilm Shipments." In following up on my earlier writing, I decided to see if I could come up with the current cost of microfilm. I am sure that some company somewhere has a price list, but I could not find anything about the sale of raw microfilm online. I did find where Kodak was going to start remanufacturing Ektachrome film sometime in 2017 so the film camera buffs can buy slide film again. But several searches for the price of raw microfilm turned up nothing. 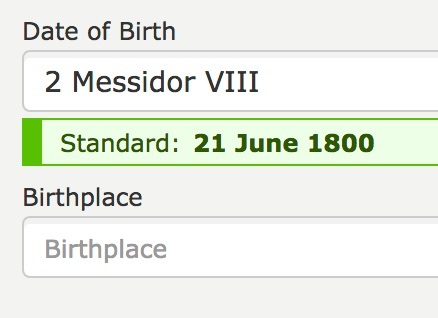 Apparently, genealogists are almost the last people in the world to depend on microfilmed records. 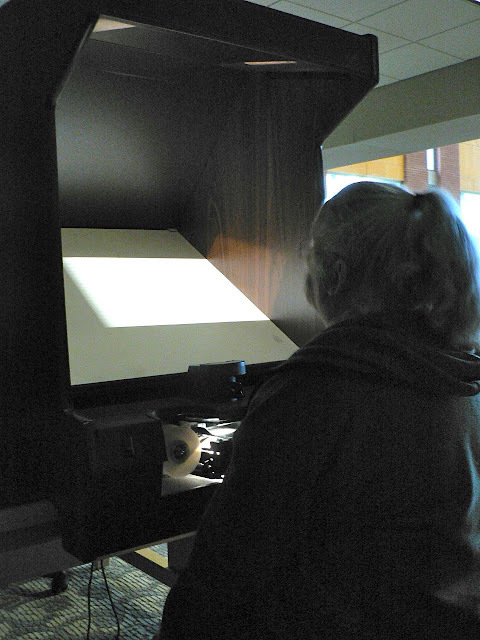 I did find a huge selection or new and used microfilm viewing machines online. Some of the large record repositories, such as the National Archives, are apparently continuing to supply microfilm copies to their patrons. It appears to me that this is a cost issue. If a microfilm image is digitized, the image can be distributed essentially for free, although there is a built in cost of producing the online images, storing them online and then marking them available to patrons. But once the digital images are online there is a very low cost for maintaining the digital images of each roll of microfilm. If it is so hard to find a price for raw microfilm online, I am guessing that the price is not subject to a lot of competition. Now let's get down to brass tacks. Is microfilm a viable archive media? If yes, how much longer will microfilm be viable? I mentioned Ektachrome film above because that is a film used in film cameras. A few years ago, I picked up a little bit of income from buying and selling used cameras. Over about a two or three year period, the selling price of almost all used film cameras dropped to essentially zero. Only the most expensive Leica and Hasselblads retained any kind of value. Today, for example, I could buy an Argus C3 Rangefinder camera in good condition for under $10.00 on ebay.com and I couldn't sell it for a penny more. Other common cameras are selling for similar prices. I could buy a 1979 Pentax ME Super Camera with 50mm & Vivitar 28-200mm Lens (Papers Included) for under $40.00 and there are no bids on this camera on ebay.com. More important than the price of microfilm is the issue that almost all the film cameras for taking high-resolution microfilm images and then developing the film are no longer being manufactured. We are caught between two out-moded technologies: film cameras and microfilm. Now, before you write and tell me that there is a "film" camera resurgence going on, I already know about it. But the people who are still interested in taking photos with film cameras are not making the cameras. If the cameras are not being made then there will eventually be an end to microfilm even if someone continued to make the film. I quite taking film images years ago. I now use Canon and Sony digital cameras as well as my iPhone for all my photos. That is enough for me to see that digital images will replace film generated images almost completely at some point in time. When film cameras are no longer available then film will disappear. That may take a long time, but will be inevitable. This image is not us. But we are going camping. See you in a while. Genealogists fall into distinct categories based on their technological awareness. In the general population, this phenomenon is called the "Digital Divide." 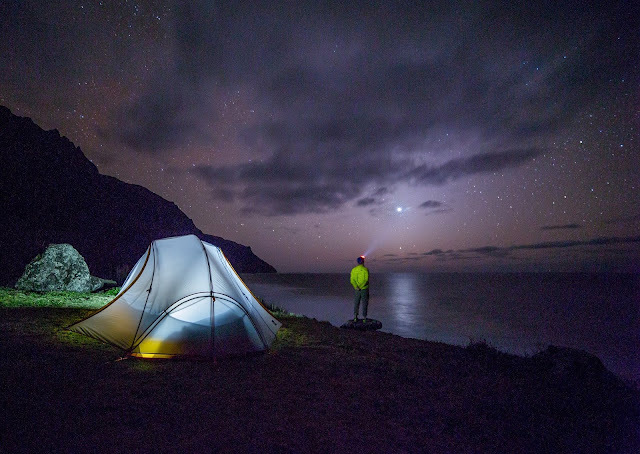 The divide is between those with computer skills and access to high-speed internet connections and those who, for whatever reason, do not have that availability. The current issue raised by FamilySearch.org's announcement about the discontinuance of microfilm shipments on September 1, 2017 and the reactions to the announcement raises some additional related issues in the genealogical community. See "Digital Records Access Replacing Microfilm." Contemporaneous with this post, I posted another to my Rejoice blog entitled "Where are the digital images on FamilySearch.org?" This other post looks at one very narrow part of the overall issue of digital awareness; the impact of the decline of microfilm on the overall availability of records and the location of the digital records on the FamilySearch.org website. But there is a deeper problem than just the technological obsolescence of microfilm. For example, when was the last time you received a letter from a family member? I mean a letter written on paper and sent through the mail. Many of the traditional paper-based records that genealogists have long relied on for information about their ancestors will not be available to future generations. So, the dilemma becomes weighing the advantages of digitalization and the concomitant increase in access and availability and the steady decline in the creation of certain types of records. Here is the hierarchy of considerations. At the first level of concern is the availability of the records. Are the records available at all? Not all of the entities that have (or as they believe, own) records are willing to allow them to be digitized or even made available to the public for research. As genealogists, this has been the reality for a very long period of time; long before digital records were even imagined. We have always had to travel or write for records. As far as these "paper" records are locked up by their owners nothing has changed. By the way, there are significant numbers of records that will always remain unobtainable. Moving to the next level, there are records repositories that have an overwhelming number (billions) of documents, many of which are not interesting or useful to genealogists, but many are. For example, very few of the records in the National Archives of the United States have been digitized. This is not particularly an access issue, i.e. I could go to the National Archives and do research on site. Granted the National Archives is in the process of digitizing some of the records, but it is entirely possible that the number of records being added exceeds the number of records being digitized by a huge factor. Will the entire National Archives collections ever be digitized? It is possible but not likely. Now, we get to smaller repositories. Many of these records are waiting to be digitized. Large online genealogy websites, national and local governments and other entities are pushing to have all of these records digitized. Obviously, not all of these records will show up on the large genealogical database programs. These records will always remain scattered across the internet. But even considering the large number of records available, the initial restrictions set forth above still apply. For example, there is a large collection of digital books on the HathiTrust.org website. However, only those in the public domain are accessible unless you happen to be associated with one of their academic partners. In short, digitization is only part of the issue. Even digital records remain restricted by their "owners" and some digital records will still only be available in certain locations or to certain classes of people. But the real issue with genealogists lies in the Digital Divide. There are huge numbers of records available online but for those with few computer skills or a simple lack of awareness are as separated from those records as they would have been fifty or hundred years ago. 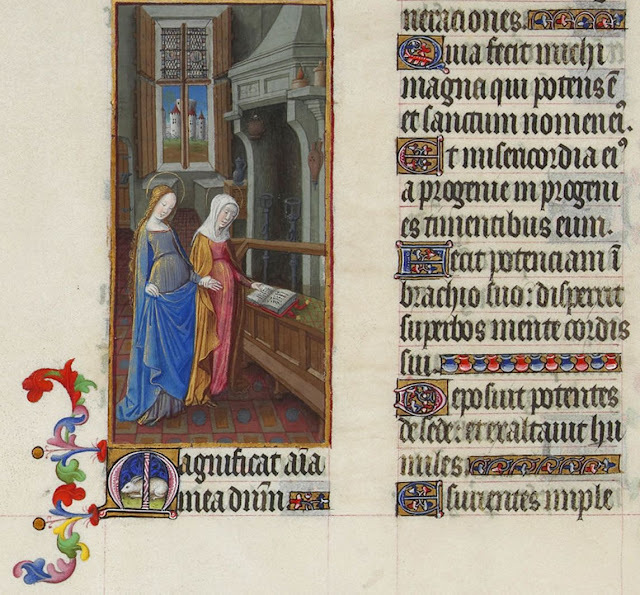 Genealogists who do research into legal and church documents in any time period, up to and including the present, will run into a plethora of legal terms in Latin. This is especially true for countries in Europe. For this reason, I began explaining and analyzing some of the more common Latin legal terms. This is part 11 of the series. By the way, this series is not intended to comprehensive. My selection is based on 39 years of trial work. I have only selected those terms that I actually used or heard used during my years of experience. pendente lite -- literally "while litigation is pending"
Usually, refers to an order entered by the judge (court) that affects the parties to a lawsuit during the time the matter is in the court process. For example, in a marital dissolution case (divorce) the judge might order custody of the children (if any) to one of the parties until the matter is completely resolved. Generally, the pendente lite orders either expire at the end of the litigation or are made permanent in the final court order or judgment. You may also see the term lis pendens used for temporary orders during the course of the litigation. The term lis pendens is usually used in real property disputes to enter an order showing that a judgment against the property, i.e. a foreclosure action, is possible and preventing the transfer of the property during the pendency of the litigation. parens patriae -- literally "parent of the nation"
This statement is used to show that the government involved has the right to act as the parent to a child when the child's biological parents are unable or unwilling to provide support. obiter dictum -- literally "a thing said in passing"
Some of the legal jargon, i.e. Latin phrases, used by attorneys have perfectly suitable non-Latin equivalents. As I have pointed out previously, some of these Latin phrases have become so common that it is now essentially an English word. The English word "dicta" has evolved from this phrase. This phrase is really quite vague. It is used to refer to any comments made by a judge in a written court opinion that those opposing people the opinion do not think support the conclusion or are used to extend the application of the opinion beyond what is fully supported by previously decided case law or stare decisis. nunc pro tunc -- literally "now for then"
Without some context, even the literal meaning of this phrase does not make sense. I doubt that those who use this phrase even know what it means in English. I can't classify it as a Latin phrase that has passed into the English language because I don't think anyone outside of the legal profession would have a clue about its meaning. It is used to indicate an action taken by a judge to correct an obvious error in a judgment or a ruling and to indicate further that the change dates back to the date of the original order or judgment. The changed or corrected order is designated as issued nunc pro tunc. nulla bona -- literally "no goods"
This is is a phrase that is now becoming very scarce simply because the people who note when a defendant who has an adverse judgment has no tangible property that can be seized to pay the judgment do not know any Latin phrases. It means that the sheriff or constable could not find any property. I realize that I am only giving five definitions lately, but there is a lot to write about and I do get pressed for time. I did want to keep this particular series going however. The organized activity of gathering historical information dates back into antiquity. One of the early notable collections of knowledge was the Library of Alexandria in Egypt. This huge library is estimated to have more than 40,000 parchment and papyrus scrolls. Not all of this collection was genealogy, but it is likely that some of it was. Of course, we have some selective genealogies in the Bible. In Western Europe, genealogy was originally the purvue of kings and nobles and used primarily to establish the legitimately of various claims to power. In some areas of the world, such as China, genealogies have been kept for thousands of years. But there is little about modern genealogy that really relates back to these more ancient practices. The first historical society in the United States was established in 1845. This is was and is the New England Historic Genealogical Society of Boston, Massachusetts. Currently, the Federation of Genealogical Societies in the United States has over 500 members. In England, the Society of Genealogists was founded in 1911. Genealogy, as it is practiced today, is a rather recent innovation based on some of the historical concepts with some modern twists. Weil, François. Family Trees: A History of Genealogy in America. 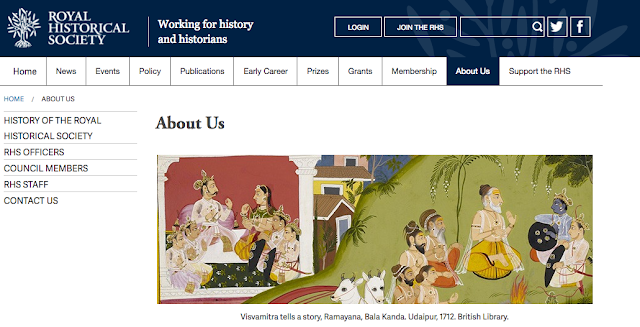 Cambridge, Massachusetts: Harvard University Press, 2013. http://dx.doi.org/10.4159/harvard.9780674076341. This book explains how and sometimes why we have vast online genealogical databases and reading this book will give you a perspective that you may not presently have. Remember that those who ignore history are bound to repeat it. For anyone doing in depth German research, the series of books called the "Map Guide to German Parish Registers" is a valuable asset. The set is probably only completely available at the Family History Library in Salt Lake City, Utah, however, I have compiled a list of 89 items most of which are in the series. You can determine if a library near you has a copy of a particular volume by searching in WorldCat.org. I have seen that many volumes are also for sale on Amazon.com. Here is what I was able to find. I would also suggest checking with Family Roots Publishing. Leland Meitzler of Family Roots Publishing can likely tell you which volumes are available for purchase. Hansen, Kevan. Map Guide to German Parish Registers - Free City of Hamburg. Family Roots Publishing Company, 2016. ———. Map Guide to German Parish Registers - Kingdom of Bavaria Niederbayern I. ———. Map Guide to German Parish Registers - Kingdom of Bavaria X -Gazetteer & Master Index to Volumes 13-22. ———. Map Guide to German Parish Registers - Kingdom Saxony I. ———. Map Guide to German Parish Registers Vol 42. Family Roots Publishing, 2013. ———. Map Guide to German Parish Registers Vol 43. Family Roots Publishing, 2013. ———. Map Guide to German Parish Registers Vol 44. Family Roots Publishing, 2013. Hansen, Kevan M. Imperial Province of Alsace-Lorraine (Elsass-Lothringen) French Department of Bas-Rhin, Kreise (Arrondissements) Erstein, Schlettstadt Ans Strassburg with Full Index of Included Towns 2, 2,. Bountiful, Utah: Family Roots Pub. Co., 2010. ———. Imperial Province of Alsace-Lorraine (Elsass-Lothringen) French Department of Haut-Rhin Kreise (Arrondissements) Altkirch and Thann, and the Territory of Belfort with Full Index of Included Towns 4, 4,. Bountiful, Utah: Family Roots Pub. Co., 2011. ———. Imperial Province of Alsace-Lorraine (Elsass-Lothringen) French Department of Haut-Rhin Kreise (Arrondissements) Gebweiler, Kolmar, Mülhausen and Rappoltsweiler with Full Index of Included Towns 3, 3,. Bountiful, Utah: Family Roots Pub. Co., 2011. ———. Imperial Province of Alsace-Lorraine (Elsass-Lothringen) French Department of Lorraine Kreise (Arrondissements) Bolchen, Diedenhofen, Forbach, Metz and Saargemünd with Full Index of Included Towns 5, 5,. Bountiful, Utah: Family Roots Pub. Co., 2011. ———. Imperial Province of Alsace-Lorraine (Elsass-Lothringen) French Department of Lorraine Kreise (Arrondissements) Saarburg and Salzburg, with Full Index of Included Towns 6, 6,. Bountiful, Utah: Family Roots Pub. Co., 2011. ———. Imperial Province of Alsace-Lorraine (Elsass-Lothringen) ... with Full Index of Included Towns. Bountiful, UT: Family Roots Pub. Co., 2010. ———. Kingdom of Bavaria 2 2. Bountiful, UT: Family Roots Publ., 2007. ———. Kingdom of Prussia, Province of Brandenburg ...: With Full Index of Included Towns. Bountiful, Utah: Family Roots Pub. Co., 2012. ———. Kingdom of Prussia, Province of East Prussia ...: With Full Index of Included Towns, 2014. ———. Kingdom of Prussia, Province of Hannover: With Full Index of Included Towns. Bountiful, Utah: Family Roots Pub. Co., 2010. ———. Kingdom of Prussia, Province of Pomerania ...: With Full Index of Included Towns, 2014. ———. Kingdom of Prussia - Province of Sachsen: With Full Index of Included Towns. Bountiful, Utah: Family Roots Publishing Co., 2009. ———. Kingdom of Prussia, Province of West Prussia ...: With Full Index of Included Towns, 2013. ———. Kingdom of Saxony ...: With Full Index of Included Towns. Bountiful, Utah: Family Roots Pub. Co., 2009. ———. Kingdom of Württemberg ...: With Full Index of Included Towns. North Salt Lake, UT: Heritage Creations, 2004. ———. Map Guide to German Parish Registers. North Salt Lake, UT: Heritage Creations, 2004. ———. Map Guide to German Parish Registers. North Salt Lake, Utah: K.M. Hansen, 2004. ———. Map Guide to German Parish Registers. North Salt Lake, UT: Heritage Creations, 2005. ———. Map Guide to German Parish Registers. Bountiful, Utah: Family Roots Publishing Co., 2007. ———. Map Guide to German Parish Registers. Bountiful, Utah: Family Roots Publishing Co., 2008. ———. Map Guide to German Parish Registers: Imperial Province of Alsace-Lorraine II (Elsas-Lothringen), District of Unterelsass, French Department of Bas-Rhin, Kreise (Arrondissements) Erstein, Schlettstadt and Strassburg ; with Full Index of Included Towns. Bountiful, Utah: Family Roots Pub. Co., 2010. ———. Map Guide to German Parish Registers: Imperial Province of Alsace-Lorraine III (Elsas-Lothringen), District of Oberelsass I, French Department of Haut-Rhin, Kreise (Arrondissements) Gebweiler, Kolmar, Mülhausen and Rappoltsweiler ; with Full Index of Included Towns. Bountiful, Utah: Family Roots Pub. Co., 2011. ———. Map Guide to German Parish Registers: Kingdom of Bavaria III : Regierungsbezirk Mittelfranken with Full Index of Included Towns. Bountiful, UT: Family Roots Pub. Co., 2007. ———. Map Guide to German Parish Registers: Kingdom of Bavaria II, Regierungsbezirk Oberfranken. Bountiful, UT: Family Roots Pub. Co., 2007. ———. “Map Guide to German Parish Registers, Kingdom of Bavaria: With Full Index of Included Towns.” Bountiful, Utah: Family Roots Pub. Co., 2007. ———. “Map Guide to German Parish Registers, Kingdom of Prussia, Province of Sachsen: With Full Index of Included Towns.” Bountiful, UT: Family Roots Publishing, 2009. ———. Map Guide to German Parish Registers: Kingdom of Prussia, Province of Silesia Iii. Orting: Family Roots Publishing, 2016. ———. Map Guide to German Parish Registers: Kingdom of Prussia, Province of Westphalia II, Regierungsbezirke Arnsberg and the Principality of Waldeck and Pyrmont, with Full Index of Included Towns. Bountiful, Utah: Family Roots Publishing, 2011. ———. “Map Guide to German Parish Registers, Kingdom of Prussia, Province of Westphalia: With Full Index of Included Towns.” Bountiful, Utah: Family Roots Publishing, 2011. ———. Map Guide to German Parish Registers: Kingdom of Württemberg. North Salt Lake, UT: Heritage Creations, 2004. ———. “Map Guide to German Parish Registers, Province of Rhineland: With Full Index of Included Towns.” Bountiful, Utah: Family Roots Pub. Co., 2007. ———. “Map Guide to German Parish Registers. with Full Index of Included Towns.” Bountiful, Utah: Family Roots Pub. Co., 2007. ———. Map Guide to German Parish Registers. with Full Index of Included Towns. Bountiful, Utah: Family Roots Publishing Co., 2007. ———. “Map Guide to German Parish Registers: With Full Index of Included Towns.” North Salt Lake, UT: Heritage Creations, 2008. ———. “Map Guide to German Parish Registers. with Full Index of Included Towns.” Bountiful, Urah: Family Roots Pub. Co., 2008. ———. Map Guide to German Parish Registers. with Full Index of Included Towns. Bountiful, Utah: Family Roots Publishing Co., 2009. ———. Map Guide to German Parish Registers. with Full Index of Included Towns, 2010. ———. “Map Guide to German Parish Registers. with Full Index of Included Towns,” 2011. ———. Map Guide to German Parish Registers. with Full Index of Included Towns, 2013. ———. Map Guide to German Parish Registers. with Full Index of Included Towns, 2014. ———. Map Guide to German Parish Registers. with Full Index of Included Towns Vol. 26, Vol. 26,. Bountiful, Utah: Family Roots Pub. Co., 2009. ———. Map Guide to German Parish Registers. with Full Index of Included Towns Vol. 31, Vol. 31,. Bountiful, Utah: Family Roots Pub. Co., 2010. ———. Map Guide to German Parish Registers. with Full Index of Included Towns Vol. 33, Vol. 33,. Bountiful, Utah: Family Roots Pub. Co., 2010. ———. Map Guide to German Parish Registers. with Full Index of Included Towns Vol. 36, Vol. 36,. Bountiful, Utah: Family Roots Pub. Co., 2011. ———. Map Guide to German Parish Registers. with Full Index of Included Towns Vol. 37, Vol. 37,. Bountiful, Utah: Family Roots Pub. Co., 2011. ———. Map Guide to German Parish Registers. with Full Index of Included Towns Vol. 38, Vol. 38,. Bountiful, Utah: Family Roots Pub. Co., 2011. ———. Map Guide to German Parish Registers. with Full Index of Included Towns Vol. 39, Vol. 39,. Bountiful, Utah: Family Roots Pub. Co., 2011. ———. Map Guide to German Parish Registers. with Full Street Index, 2013. ———. Map Guide to German Parish Registers. with Full Street Index, 2017. ———. Province of Schleswig-Holstein, Kingdom of Prussia and Grandduchy of Oldenburg: With Full Index of Included Towns. North Salt Lake, UT: Heritage Creations, 2004. Hansen, Kevan M, and Leland K Meitzler. Map Guide to German Parish Registers. North Salt Lake, UT: Heritage Creations, 2008. ———. Map Guide to German Parish Registers., 2010. ———. “Map Guide to German Parish Registers, Grandduchy of Hessen: With Full Index of Included Towns,” 2014. ———. 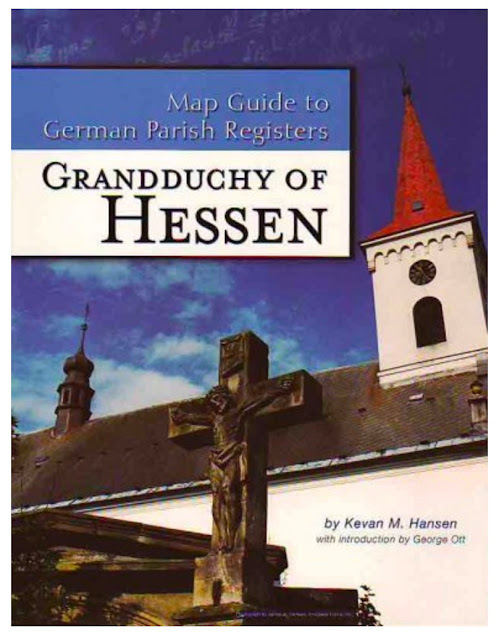 “Map Guide to German Parish Registers, Hessen-Nassau: With Master Index of Towns from Both Volumes.” Bountiful, UT: Family Roots Publishing, 2014. ———. Map Guide to German Parish Registers - Kingdom of Prussia, Province of Hanover III. Family Roots Publishing Company, 2009. ———. Map Guide to German Parish Registers. with Full Index of Included Towns, 2015. ———. Map Guide to German Parish Registers. with Full Index of Included Towns, 2016. ———. Map Guide to German Parish Registers. with Full Street Index, 2016. Hansen, Kevan M, and George Ott. “Map Guide to German Parish Registers, Hessen-Nassau, Regierungsbezirk Wiesbaden, Kingdom of Prussia: With Master Index of Towns from Both Volumes.” North Salt Lake, UT: Heritage Creations, 2005. ———. Map Guide to German Parish Registers. Vol. 7, Vol. III, Vol. 7, Vol. III,. North Salt Lake, UT: Heritage Creations, 2004. ———. “Map Guide to German Parish Registers. Vol. 8, Vol. IV, Vol. 8, Vol. IV,” 2004. ———. “Map Guide to the German Parish Registers, Kingdom of Württemberg: With Full Index of Included Towns.” North Salt Lake, UT: Heritage Creations, 2004. Koenigsberger, H. G, George L Mosse, and G. Q Bowler. Europe in the Sixteenth Century. London: Routledge, Taylor and Francis, 2013. http://public.eblib.com/choice/publicfullrecord.aspx?p=1710605. Map Guide to German Parish Registers: Imperial Province of Alsace-Lorraine Iv. Bountiful: Family Roots Pub., 2011. 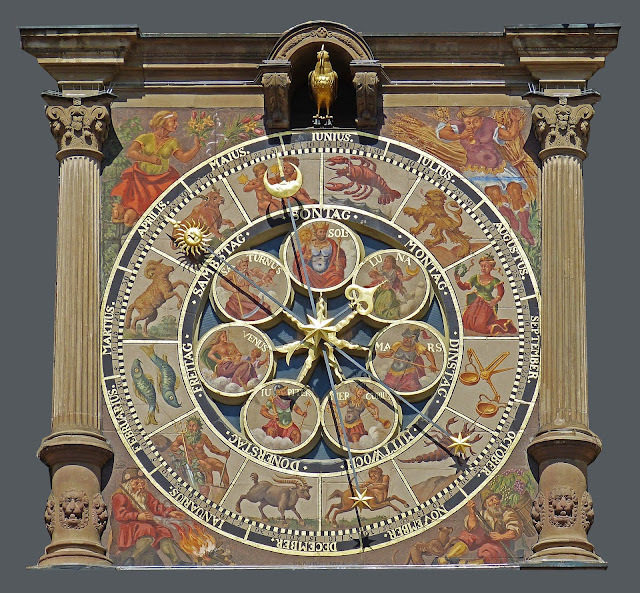 There are dozens of different calendars that have been used in different parts of the world at different times. The short list above includes the ones you would most likely find in your research if your ancestors came from Europe. If your ancestors came from an Asian country such as China, you would have to adapt to the Chinese calendar. The effect of all these calendars the historical changes in the use of one or another is that the dates you find in records may have to be translated into our modern calendar to make sense. OK, so depending on the program, the date could be left as it is or translated into the current version of the Gregorian calendar. 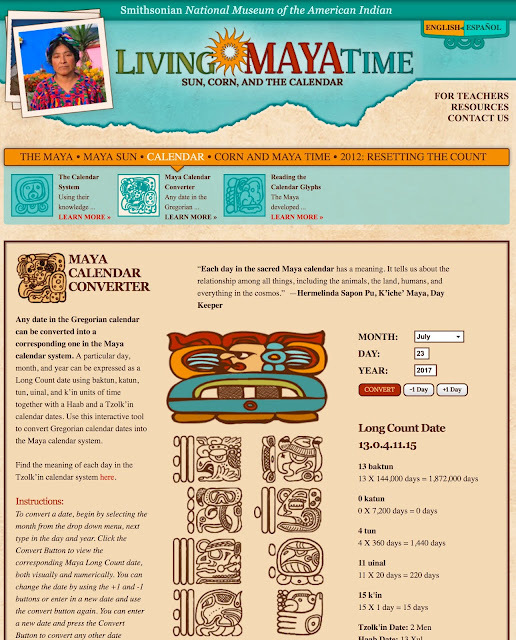 Here are some programs for translating dates in the various calendars.